Stockholm: An Israeli scientist whose work was once ridiculed for being out of line with received thinking won the 2011 Nobel Prize for chemistry on Wednesday for discovering different ways in which atoms could be packed together in solid materials. Shechtman found in 1982 that atoms in crystals could be packed in a pattern which did not repeat itself—recalling the intricate mosaics of Arab art and flying in the face of the accepted view that patterns had to be repetitious. “His discovery was extremely controversial. In the course of defending his findings, he was asked to leave his research group," said the Nobel Committee for Chemistry at the Royal Swedish Academy of Sciences, which made the award. “However, his battle eventually forced scientists to reconsider their conception of the very nature of matter," it added in a statement. “Scientists are currently experimenting with using quasicrystals in different products such as frying pans and diesel engines." Shachtman, 70, reached by Israel Radio, said he was “excited" to be honoured but declined to go into more detail about his work, promising a statement later in the day. David Phillips, president of Britain’s Royal Society of Chemistry, said: “Quasicrystals ... break all the rules of being a crystal at all. You can normally explain in simple terms where in a crystal each atom sits—they are very symmetrical. “With quasicrystals, that symmetry is broken: there are regular patterns in the structure, but never repeating. “Aperiodic mosaics, such as those found in the medieval Islamic mosaics of the Alhambra palace in Spain and the Darb-i Imam shrine in Iran, have helped scientists understand what quasicrystals look like at the atomic level. “In those mosaics, as in quasicrystals, the patterns are regular—they follow mathematical rules—but they never repeat themselves." 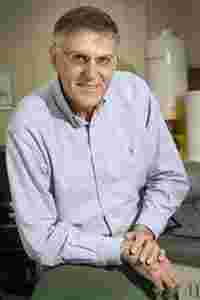 Tel Aviv-born Shechtman is based at the Technion, Israel Institute of Technology, in the northern city of Haifa, but was working in the US at the time of his major discovery. Shechtman’s research was initially dismissed by many scientists, since it conflicted with all the textbooks. One of his fiercest critics was the famously argumentative Linus Pauling, himself double a Nobel laureate. But in 1992, the International Union of Crystallography altered its definition of what constitutes a crystal in the light of his work. Over the last three decades, hundreds of quasicrystals have been synthesised in laboratories and, two years ago, scientists reported the first naturally occurring quasicrystals in a mineral sample from Russia containing aluminum, copper and iron. Scientists had thought solid matter had only two states—crystalline, like diamonds and quartz, where atoms are arranged in rigid rows, and amorphous, like metals, with no particular order. Quasicrystalline matter offers a third possibility and opens the door to new kinds of materials for use in industry.